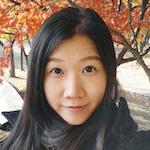 Chi-en Shen (Ashley) is currently working as a senior cyber threat analyst at Team T5 Inc., where she focuses on tracking and monitoring advance persistence threat from threat actors. Her major areas of research include malware analysis, malicious documents, reverse engineering, cyber threat intelligence, threat hunting, incident response and the tracking of emerging threats. Prior to this position, she was a research assistant in the information security lab at National Tsing Hua University in Taiwan. Ashley start to serve in the Black Hat review board since 2016. She is also a member and frequent speaker of “Hacks in Taiwan Conference” community. For supporting women in InfoSec, Ashley founded “HITCON GIRLS” – the first security community for women in Taiwan. Ashley is also a regular speaker at information security conferences, including Taiwan security submit, CODE BLUE, Troopers, HITCON Community, HITCON Enterprise and VXCON.